Salgado, C., et al. Rare and Treatable Case of Hypertension in Adolescent. (2016) J Palliat Care Pediatr 1(2): 22-25. © 2016 Salgado Catarina. This is an Open access article distributed under the terms of Creative Commons Attribution 4.0 International License. Renal segmental hypoplasia or Ask-Upmark kidney is a rare congenital kidney disorder that can be associated with hypertension. A 12-year-old girl previously healthy was referred to our emergency department with anxiety crisis and high blood pressure. The physical examination was unremarkable except for a blood pressure extremely high (191/141 mmHg). Echocardiography revealed left ventricular hypertrophy. Renal ultrasound showed a renal asymmetry with a small left kidney. She was treated with three antihypertensive agents without blood pressure normalization. Further investigation included doppler ultrasound and computed tomography angiography which revealed atrophic left kidney and a narrow but permeable renal left artery. No radionuclide uptake was observed in captopril renogram. Patient underwent a left nephrectomy with marked improvement in blood pressure control. Macroscopic appearance of the atrophic kidney showed segmental hypoplastic area with absence of glomeruli, atrophic tubules and thick walled arteries at histological findings with associated hypoplasia of the renal artery. Hypertension can be silent and screening children and adolescents for elevated blood pressure could identify hypertension at an early stage and identify secondary causes. This condition is rare and the diagnosis is crucial because it is a potentially curable cause of hypertension in the young people. Hypertension is an important, independent and potentially reversible risk factor for cardiovascular disease (CVD) in pediatric patients. Pediatric hypertension is on the rise. Actually affects almost 5% of all children. Hypertension is usually asymptomatic and a significant proportion of children with hypertension is undiagnosed. Screening children for elevated blood pressure (BP) or hypertension has the potential to shift the management of hypertension to younger age groups and potentially reduce future cardiovascular disease risk in adults. Secondary hypertension is more common in children compared with adults who predominantly have primary hypertension. Young age, severe hypertension, family history and signs and symptoms of syndromes associated with hypertension are suggestive of an underlying secondary cause for elevated BP. Secondary hypertension is associated with more severe elevation in BP and, hence, early and prompt diagnosis with treatment addressing the underlying cause is needed for such patients. Renal conditions are the commonest cause of secondary hypertension in children (60 – 80%)[4,5]. We report an unusual case of secondary hypertension, renal segmental hypoplasia, in a previously apparent healthy adolescent girl. A 12-year-old girl, caucasian, was referred to the pediatric department with hypertensive crisis. She had a past medical history without problems with negative prenatal diagnosis of congenital anomalies of the kidney and urinary tract. She had prior history of systolic blood pressure with pre-hypertension range in medical office which was interpreted as white coat hypertension. She never had urinary tract infections or other significant diseases. Her family history was significant for middle age onset of primary hypertension in her father. She went to general practice office to routine vaccination and because of anxiety, an unexpectedly blood pressure was measured (190/141 mmHg – (> Pc 99 + 5 mmHg) - stage II hypertension) and she was admitted to the emergency department. On physical examination she maintained high blood pressure without other clinic symptoms (no associated organ damage). Neurological examination and ophthalmic fundus examination were normal. Her complete blood count, basic metabolic panel, renal function and urinalysis were unremarkable. Renal ultrasound showed a renal asymmetry with a small left kidney (4 cm) with increased echogenicity and a normal right kidney (12 cm). Because of hypertensive crisis present as hypertensive urgency she was discharged from the hospital with three antihypertensive agents (nifedipine, carvedilol and enalapril) and she was refered to hypertension consultation at a tertiary hospital. At outpatient consultation investigations revealed she maintained high blood pressure (> Pc 95) with ambulatory blood pressure monitoring (during twenty-four hours). She repeated laboratory test at outpatient consultation with little increased plasma rennin levels (39,1 pg/ml; normal values 5,1 - 38,7 pg/ ml). Renal doppler ultrasound (figure 1) and computed tomography angiography revealed atrophic left kidney and a narrow but permeable renal left artery (figure 2 and figure 3). Captopril renograme showed no radionuclide uptake in the left kidney (figure 4). Echocardiography revealed left ventricular hypertrophy with good function and without structural heart disease. Investigations revealed a small, non-functioning left kidney with hypoplasic left renal artery and hypertension. A left nephrectomy was indicated. The excised left kidney was small and atrophic measuring 4,8*2,5*1,8 cm; it was attached to a hypolasic renal artery. On sectioning the kidney showed reduction on cortical measurement, distinction between cortex and medulla was ill defined and there was a dilatation of the pelvicalyceal system. 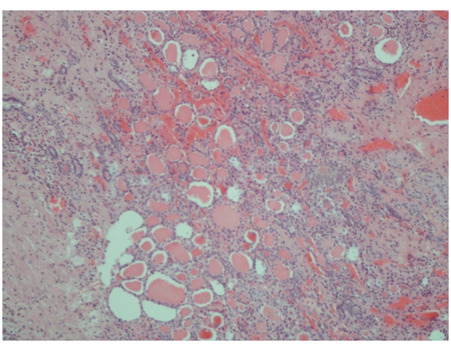 The renal parenchyma appeared glomerulosclerosis and areas without glomeruli, the renal tubules were atrophic with thyroidisation and thick walled arteries (figure 5). The histological finding of renal left artery was normal. With five months of follow up she remained normotensive (119/75 mmHg; < Pc 90) with monotherapy (nifedipine). 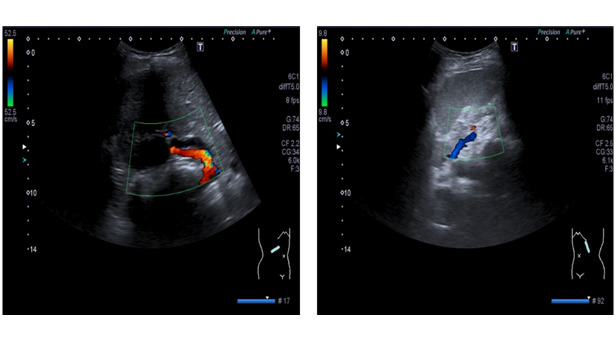 Figure 1: Doppler renal ultrasound revealed atrophic left kidney (5 cm) and a small renal left artery with renal left parenchyma hypoperfusion. 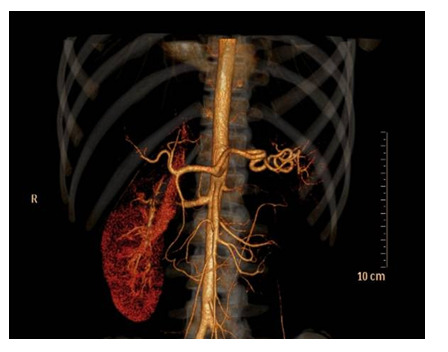 Figure 2: Renal computed tomography angiography showing rewarding hypertrophy right kidney with normal right renal artery (left image) and atrophic left kidney with marked caliber reduction of renal left artery with luminal permeability present (right image). Figure 3: Three dimensional reconstruction of computed tomography angiography revealed atrophic left kidney with no contrast enhancement. Figure 4: Captopril renograme without radionuclide uptake of the left kidney. One of the most important components of the successful management of childhood with hypertension is determining whether or not there is an underlying cause that is amenable to treatment. Identifying children with this condition and successfully treating their hypertension should have an important impact on long-term outcomes of CVD. Screening children and adolescents for elevated blood pressure could identify hypertension at an early stage where interventions could be initiated, potentially decreasing the rate of progression of hypertension from childhood to adulthood and reducing the clinical consequences of hypertension in adulthood. The European Society of Hypertension recommend that children 3 years of age and older have their BP measured during every healthy care visit. Several steps should be followed, from screening to confirmation, to rule out secondary causes of hypertension if indicated. Secondary hypertension is more common in children compared with adults. Young age, severe and uncontrolled hypertension, family history, abnormal renal function, proteinuria, high plasma rennin, signs and symptoms of syndromes associated with hypertension are suggestive of an underlying secondary cause of elevated BP. Disorders of the renal parenchyma and renal vessels account for nearly 78% of the secondary hypertension in the pediatric population. Renal segmental hypoplasia or Ask-Upmark kidney has first been described in 8 patients in 1929. Till date, approximately 200 cases have been reported. This condition is seen more frequently in females below the age of 12 years. Histological, the affected kidney appears small and contains segments with decreased number of pyramids, atrophic or thyroid like tubules, no glomeruli and thick walled arteries[11,12]. Ask- Upmark kidney needs to be differentiated from chronic pyelonephritis or ectopic segmentation of vascular origin. The renal artery is small and that is not secondary to vascular changes since the walls are always normal. The segments affected don’t have the fan-like distribution characteristics of chronic pyelonephritis and renal infarctions. 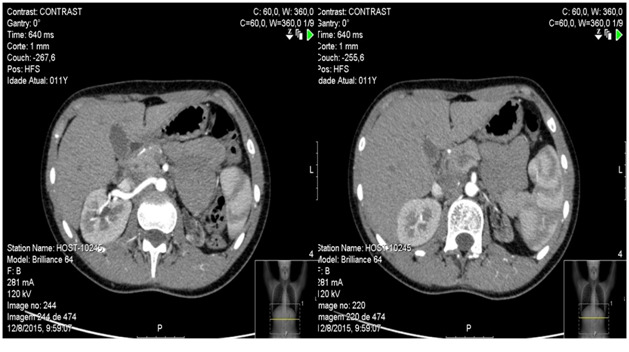 Radionuclide renal scan combined with an angiotensin-converting enzyme (ACE) inhibitor, referred to as captopril renography, may be useful in some patients, like our case. This renograme shows a decrease in the glomerular filtration rate and renal blood flow on the affected side after ACE inhibition. Although the condition is unilateral like the case reported, bilaterally asymmetrical segmental hypoplasia has also been described. The etiology of this renal lesion is rather controversial. Some authors propose a congenital malformation in the metanephric development, whereas others attribute the principal cause to vesicouretric reflux (VUR) with intrarenal reflux and reflux associated pyelonephritis[13-16]. Our patient had no previous history of VUR or urinary infections but it has been argued that the absence of reflux at the time of diagnosis does not rule it out as the initial cause of the atrophic kidney[15,16]. Presenting symptoms are hypertension, haematuria, loin pain and headache in isolation or associated with hypertensive encephalopathy[10,11]. Most often Ask-Upmark kidney presents as severe hypertension in pediatric or adolescent patients. Nephrectomy of the affected kidney usually normalizes the blood pressure. The cause of hypertension in Ask-Upmark kidney seems related to an increased rennin levels. Normalization of BP following nephrectomy also suggests that rennin excess was the cause of hypertension[10-15]. In our patient, the BP didn’t normalized completely after the nephrectomy but she has the BP controlled with monotherapy and with low doses instead three antihypertensive agents as she had before. We have only five months of follow up and maybe the BP tends to normalize. She had prior high systolic BP which was interpreted as white coat hypertension, but she had not make an ambulatory blood pressure monitoring to confirm the diagnosis. Furthermore echocardiography showed signs of pre-existing blood pressure. This case reinforces the importance of measuring the BP in children and adolescents because she had no symptoms of hypertension and she had already target-organ damage. Owing the white coat phenomena, ambulatory blood pressure monitoring is indispensable. Hypertension-induced preclinical target-organ damage is not uncommon in children and should be evaluated in all hypertensive children. This case represents a form of hypertension potentially curable which the diagnosis is crucial. The association of a unilateral small kidney with hypertension is attributed to pyelonephritis or primary hypoplasia but the early description of Ask- Upmark should be taken into consideration. Finally target organ damage can occur with asymptomatic hypertension. Hypertension can be silent and it’s important to measure BP in all office visits and all changes in the blood pressure profile should be valued and the ambulatory blood pressure monitoring should be obtained. 1. Brady, TM. Hypertension. (2012) Ped in Rev 33(12):541-552. 2. Brady, T.M., Solomon, B.S., Neu, A.M., et al. Patient-, provider-, and clinic level predictors of unrecognized elevated blood pressure in children. (2010) Pediatrics 125(6):e1286-1293. 3. Thompson, M., Dana, T., Bougatsos, C., et al. Screening for Hypertension in Children and Adolescents to Prevent Cardiovascular Disease. (2013) Pediatrics 131(3): 490-525. 4. Bartosh, S.M., Aronson, A.J. Childhood hypertension. An update on etiology, diagnosis, and treatment. (1999) Pediatric Clinics of North America 46(2): 235–252. 5. Bajracharya, P., Olivera, M.R., Kapur, G. Epidemiology of Secondary Hypertension in Children. (2014) Curr Cardiovasc Risk Rep 8: 388. 6. Sun, S.S., Grave, G.D., Siervogel, R.M., et al. Systolic blood pressure in childhood predicts hypertension and metabolic syndrome later in life. (2007) Pediatrics 119(2):237–246. 7. Lurbe, E., Cifkova, R., Cruickshank, J.K., et al. Management of high blood pressure in children and adolescentes: recommendations of the European Society of Hypertension. (2009) J Hypertens 27(9): 1719-1742. 8. Bajracharya, P., Olivera, M.R. Epidemiology of Secondary Hypertension in Children. (2014) Curr Cardiovasc Risk Rep (8): 388. 9. Ask-Upmark, E., Uber, juvenile maligne Nephrosklerose und ihr Verhaltnis zu Storungen in der Nierenentwicklung. (1929) Acta Pathol Microbiol Scand 7:383. 10. Harnisch, E.1., Leertouwer, T., Cransberg, K., et al. A 3-year old girl with seizures, hypokalemia and metabolic alkalosis. (2010) BMJ Case Rep pii: bcr1120092500. 11. 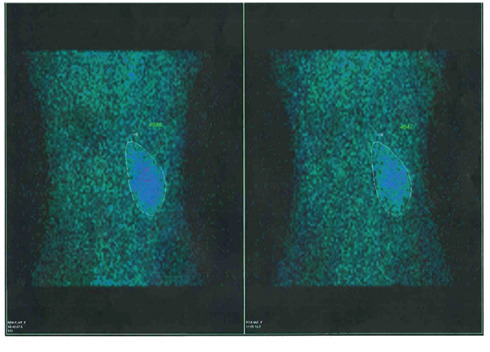 Prasad, S., Kaler, A.K., Shariff ,S. Ask-Upmark Kidney: A Report of 2 Cases. (2013) IJHSR 3: 61-64. 12. Sobel, J.D., Hampel, N., kursbaum, A., et al. Hypertension due to Ask- Upmark kidney. (1977) Br J Urol 49 (6): 477-480. 13. Tash, J.A., Stock, J.A., Hanna. M.K. The role of partial nephrectomy in the treatment of pediatric renal hypertension. (2003) J Urol 169(2): 625-628. 14. Shindo, S., Bernstein, J., Arant, B.S, Jr. Evolution of renal segmental atrophy (Ask-Upmark kidney) in children with vesicoureteric reflux: radiographic and morphologic studies. (1983) J Pediatr 102(6): 847–854. 16. Arant, B.S., Sotelo-Avila, C., Bernstein, J. Segmenta “hypoplasia” of the kidney (Ask-Upmark). (1979) J Pediatr 95(6): 931-939. 17. Sugimoto, T., Tanaka, Y., Nitta, N., et al. Renal segmental hypoplasia, Ask- Upmark kidney, in a patient with Adult-onset hypertension. (2006) Internal Medicine 45(19): 1101-1102. 18. Karpettas, N., Nasothimiou, E., Kollias, A.,et al. Ambulatory and home blood pressure monitoring in children and adolescentes: diagnosis of hypertension and assessment of traget-organ damage. (2013) Hypertension Research 36(4): 285-292.